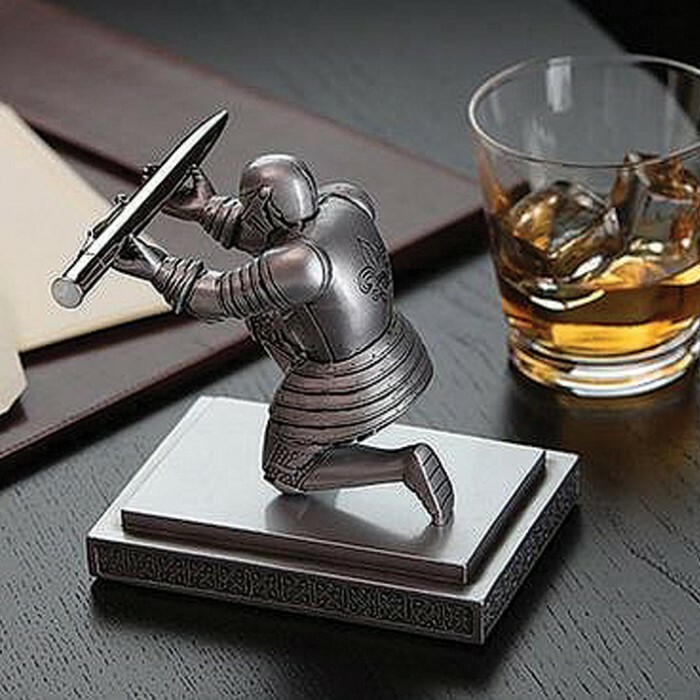 Dimensions: 4" x 5 1/2" x 5 3/4"
The Executive Knight Pen Holder is a bowing knight, hands raised to hold your modern quill, which we know is mightier than the sword. Your pen is held aloft, so you never have to figure out which stack of paper it's buried under. The resin pen holder comes with a fancy metal pen, but he's just as happy to hold any other pen you own. The pen has black ink and is refillable. It accepts Cross Standard Ballpoint Pen Refills or equivalent refills. 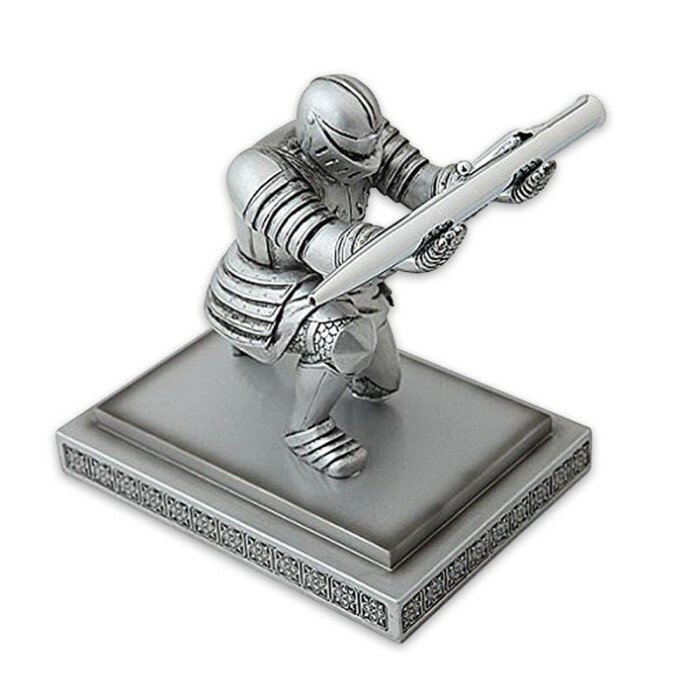 The Executive Knight Pen Holder will make sure your pen is always at the ready for whatever words need to flow from it.